Have you seen a plant in a neighbour’s garden and want one too? Or worse, have something you love but don’t know what it is? 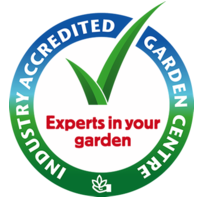 Bring a sample or detailed photographs of any plant (include leaves and flowers where possible) into Guildford Town Garden Centre and we will endeavour to identify it for you. Our horticultural staff can identify most things on the spot but if not, we have a number of sources where we can get assistance.